Home / Whole House Water Filter Systems / Whole House Filter Wide-Spectrum 2-Media CHLORINE Plus 600,000 gallons! View cart “Atlanta Pre-Filter” has been added to your cart. 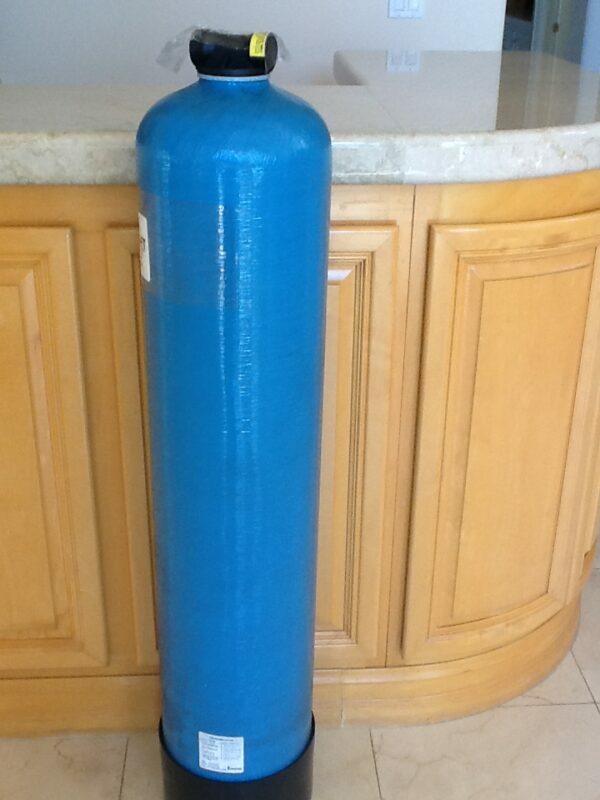 This Whole House Water Filter is a great solution for many homes. It provides clean pure water to you and your family. 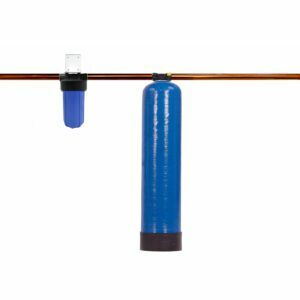 This version of the Whole House Filter system filters chromium, chlorine, chlorination byproducts, lead, heavy metals, asbestos, iron, hydrogen sulfide, hard scale and other metal, chemical and organic contaminants. Enjoy clean, healthy water. Strong water flow! Up to 15 gallons per minute! Pressure drop is less than 1%. This is a GREAT whole house chlorine plus filter that also takes out 600 other contaminants. With this unit, top quality whole house filtration became affordable for many more families. Includes no-salt scale removal for hardness for levels up to 8 grains/137 ppm. The use of patented kdf cubes allow kdf and carbon to work together in a single whole house filter tank. This means one tank is needed where two were previously needed, and no backwash head is required. This makes this unit less expensive than other whole house filters. It has no moving parts and does not require maintenance during its lifetime. All you need to do is change the filter media after 600,000 gallons! 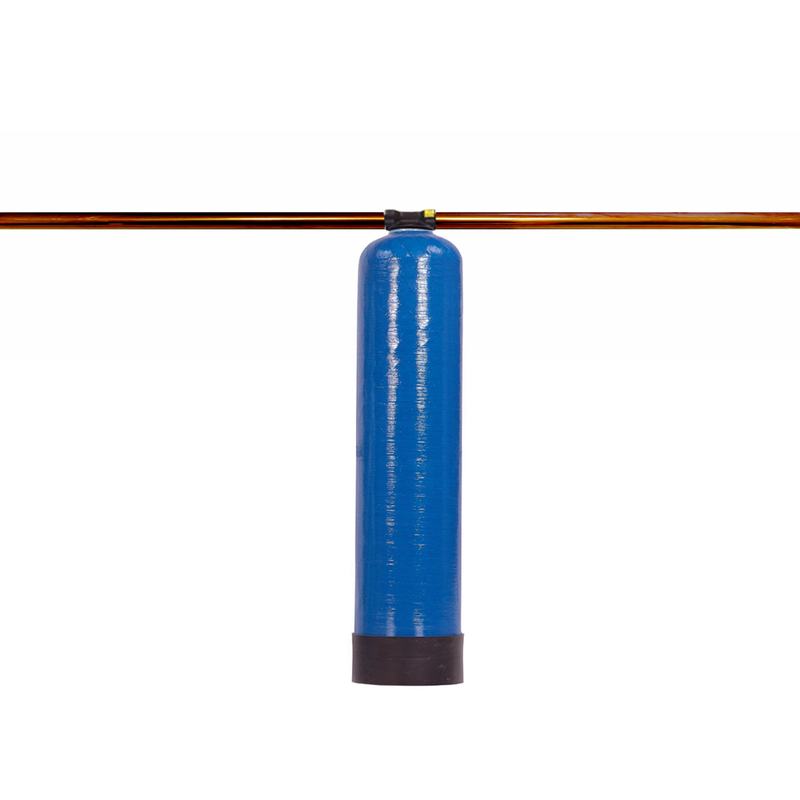 The patented technology increases filtration, and allows long-lasting filtration. Strong Water Flow! Up to 15 gallons per minute! Pressure drop is less than 1%. Does not require a backwash. This whole house wide-spectrum including chlorine filter uses the patented process FOAM ADVANTAGE! on the kdf. This increases effectiveness, efficiency, and length of media life. It is better than many filters priced several hundred to thousands of dollars more! All of the standard whole house filters we sell contain media proven to remove many hundreds of contaminants including chromium, chlorine, chlorination byproducts, lead, heavy metals, asbestos, iron, hydrogen sulfide and hard scale. The kdf takes out heavy metals and chemical-based contaminants and the carbon removes organic contaminants. Kdf is bacteriostatic, so bacteria cannot grow in the carbon or in your house pipes. The filtered water is somewhat softened without the addition of salts or chemicals. There are no membranes to replace. 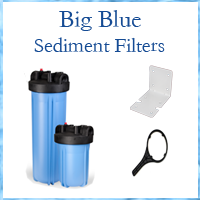 These filters leave trace elements that the body needs in the water. Demineralized water is not what supports health. You wants TDS in your water indicating that minerals are included. When the filtering mediums are exhausted – at 600,000 gallons! – get refill media to replace the used materials. This whole house filter will deliver clean water for drinking, cooking, showering, bathing, washing and gardening. 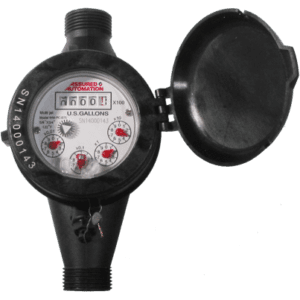 Additionally, this whole house filter will protect your plumbing and appliances from staining, corrosion and scale that can clog flows and shorten appliance life. To see a sample list of contaminants filtered in addition, see What Is Filtered?. The reason to get a pre-filter is for protection should your municipality work on the water lines, putting a lot of sediment into the water. In that case, a pre-filter protects the more expensive filter media in your tank. We recommend the Big Blue 10″. Replacement pre-filter. Change once a year or if ever the water flow slows. 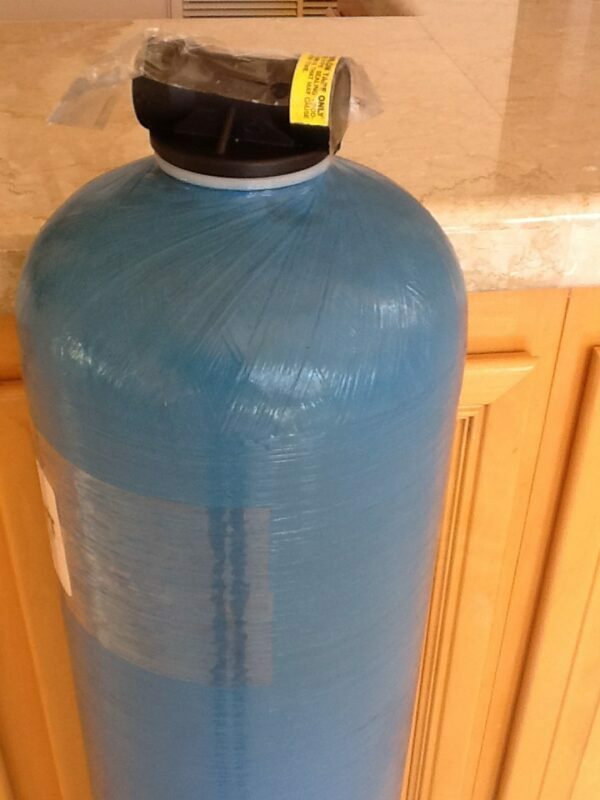 Replacement for One Tank Chlorine Plus. Change after 600,000 gallons. Water Flow: Up to 15 gpm! That’s really good! The carbon, kdf and tanks used are certified by the NSF – as are all the media we use in kitchen cartridge and whole house filters. Nothing harmful is released into the water. This Whole House Water Filter filters chlorine and hundreds of contaminants from your water. To see certifications, see Certifications. While you are in that section, cruise around to learn more about water issues and solutions. Check out: Frequently Asked Questions. Or call 866-482-6803 . If we miss your call, please leave your home info. 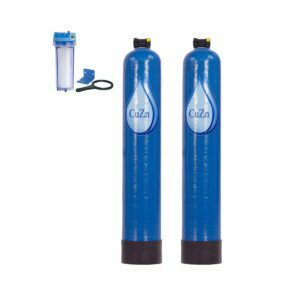 2 reviews for Whole House Filter Wide-Spectrum 2-Media CHLORINE Plus 600,000 gallons! Timothy at Friends of Water spent at least an hour with me examining the city water report and identifying which type of filters would work best. Not only did I have an extremely positive customer experience when purchasing our Whole House Water System and Kitchen Fluoride Plus, it ended up costing much less than any other companies I shopped. We just purchased our second whole house filter (combined with the under-the counter fluoride canisters) from Friends of Water (we moved and left the first one with the house). The filters work beautifully. I deal with all kinds of health issues and sensitivities, so the chlorine and fluoride in the water here cause me serious trouble. Because of the filter, I am able to have pure water for drinking and bathing. I am so thankful for the time and effort that Friends of Water puts into making such good quality filters available. For some of us, it’s the difference between feeling dreadful all the time or being able to function well and feel well.